Our website was designed to provide you with a good understanding of the manufacturers and products we proudly represent. Additional videos can be found on the manufacturer's pages on this website. We have established multiple line cards for all our various rental and supply customers. 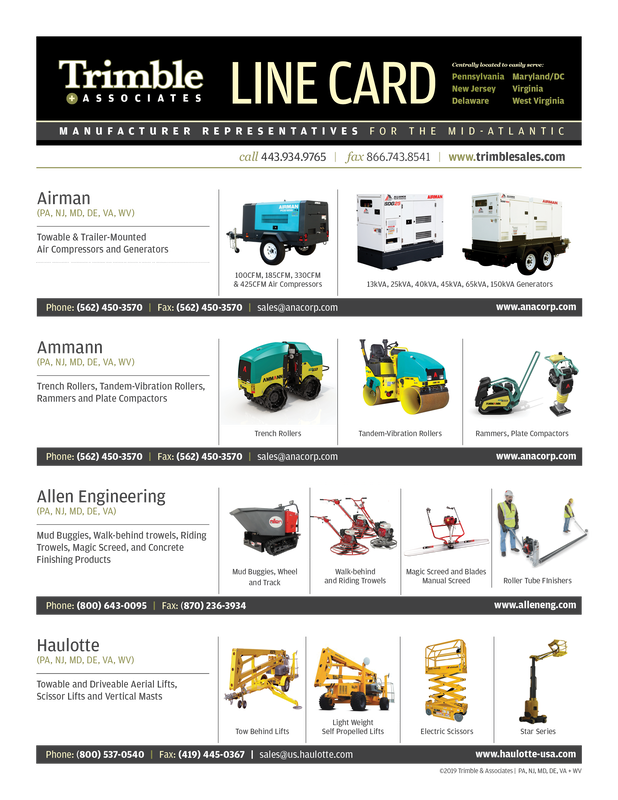 Our standard line card for the rental industry gives an overview of all the products we represent. Our Concrete360 line card focuses on the products geared towards the rental and supply customers that cater to the concrete industry. Our Party + Event line card focuses on rental operations catering to celebrations and events.